Lighting is one of the most important parts of home design. It can set the mood, and make or break your entire decor. It's important to avoid harsh lighting that can have an unintended effect on the colours you have chosen for your design scheme, but light that is too dim can also make a room look small and uninviting. If you're redesigning a room and want a luxurious atmosphere, Achica Homeware has some lovely stuff, which might help you decide how to illuminate your house. When you start to pick out your lighting, there are several factors you should keep in mind, starting with the overall decor of your home and the particular areas that you are lighting. Certain kinds of lighting, such as recessed lighting, look best in a modern home while other more classic choices, such as floor lamps, can be incorporated smartly in nearly any kind of home design. In common areas like a living or dining room, layout is just as important as the kind of lights you have. Instead of using overhead lighting, a good way to create dimension is to put light in three corners to create a balance and contrast. You can also add variety by implementing light at several levels, an effect easily achievable if you have floor lamps of varying heights. Create focal points where you have chairs that are good for reading, a dominant piece of artwork, or plant life. In the kitchen and the dining room, it's usually best to take a simpler approach. For both spaces, you'll want to make an overhead light the focal point, preferably right above a dining room table or an island where you prepare food. Chandeliers and pendant lighting in groups of three or four are useful design statements to make in this area. You may also choose to place softer lighting around the perimeter of the space, in the form of sconces or table lamps, or even candles from Achica. Lighting your bedroom is a bit more involved since you want to maintain a comfortable yet calming ambiance within there. The most important concept to keep in mind here is low lighting or diverted lighting. 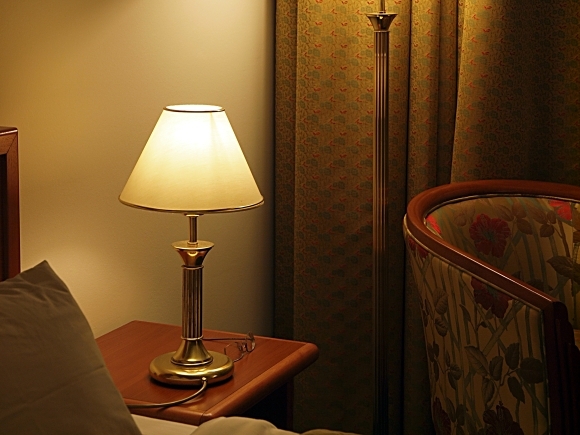 End tables should be fitted with reading lamps at a lower wattage, and if you have overhead lights that are adjustable, turn them outwards so that they are not focused on the bed. If you have just one overhead light, install a dimmer so that you can adjust the brightness when necessary. Lastly, you will also want to carefully think about the lighting you place in the bathroom. Because this space is used for so many functions, such as doing your hair, applying makeup, or cleaning, you'll want a variety of lighting, and possibly a variety of angles. Vanity lights tend to cast a softer glow than overhead fluorescent lights, which is helpful during your morning routine. Lights along the sides of the mirror may help as well. If your bathroom is big, you may also need overhead lights, especially near the shower. Remember when you plan the lighting for your home that utility is just as important as style. Successfully balance these two elements, and you can be sure to create a feel that is as beautiful as it is practical.